The GC champagne, with UCI vice president Tracey Gaudry (hiding right). 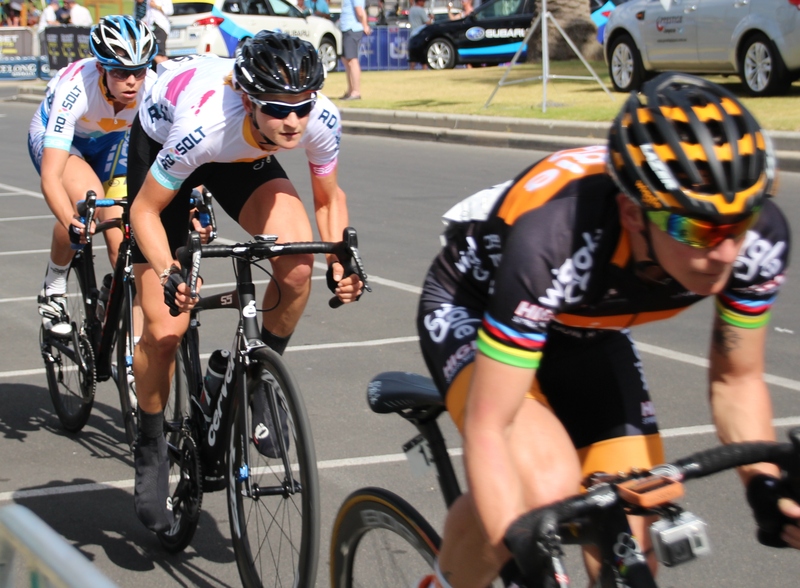 The excitement about women’s cycling was palpable at the finale of the Mitchelton Bay Cycling Classic – the bay crits – in Williamstown on Sunday. It crystallised on the podium. 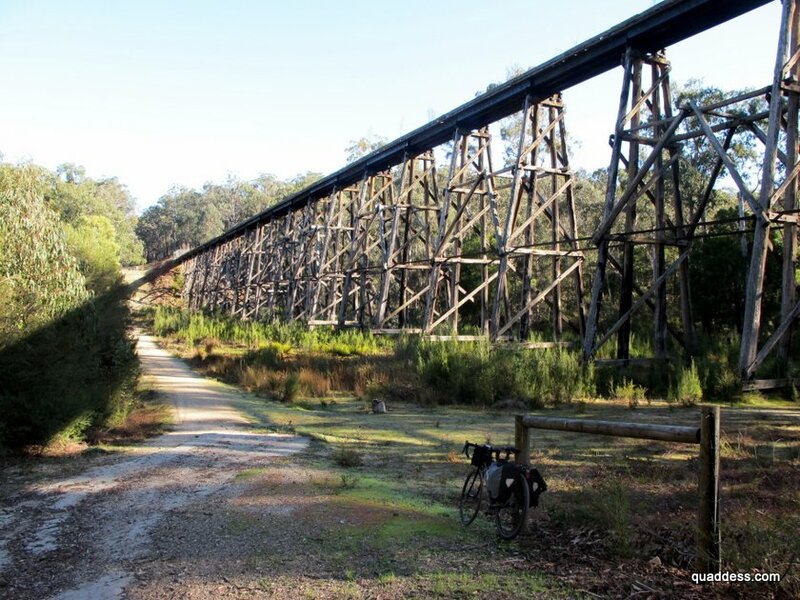 First up, doing the honours was Commonwealth Games gold medallist and UCI vice president Tracey Gaudry. 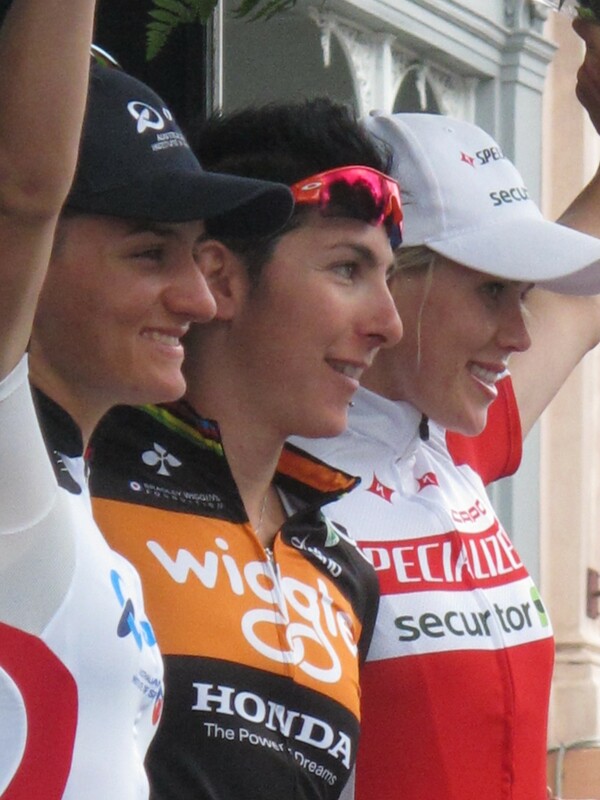 She was handing the silverware to dual road world champion Giorgia Bronzini of Wiggle Honda Pro Cycling, while South Australians Nettie Edmondson (Orica-AIS) and Tiffany Cromwell (Specialized Securitor) rounded out the series podium. Bronzini’s teammate and national mountain bike champ Peta Mullens was sprint queen, and the women’s field was a record. For both Bronzini and Wiggle Honda owner Rochelle Gilmore, there was added symmetry. 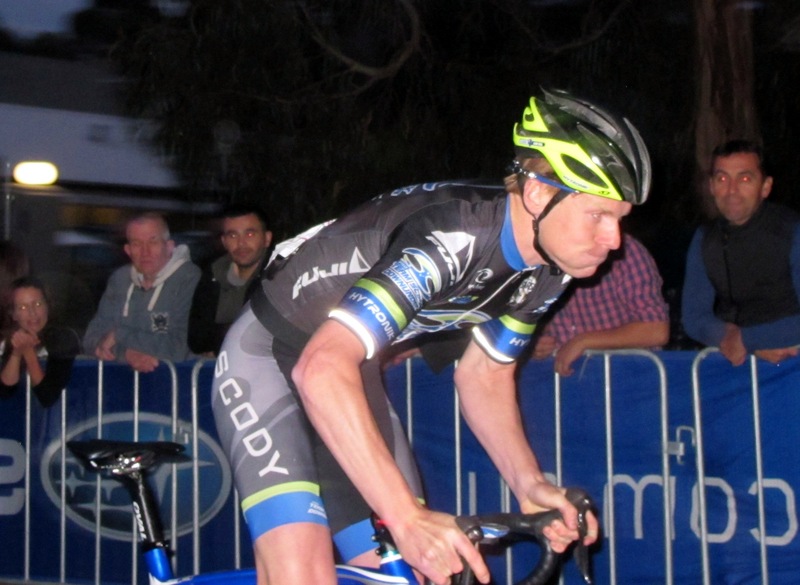 Gilmore won the bay crits as rider in 2010 and 2011 so you could expect some pressure for a team win to kick-start 2014. She exceeded expectations. 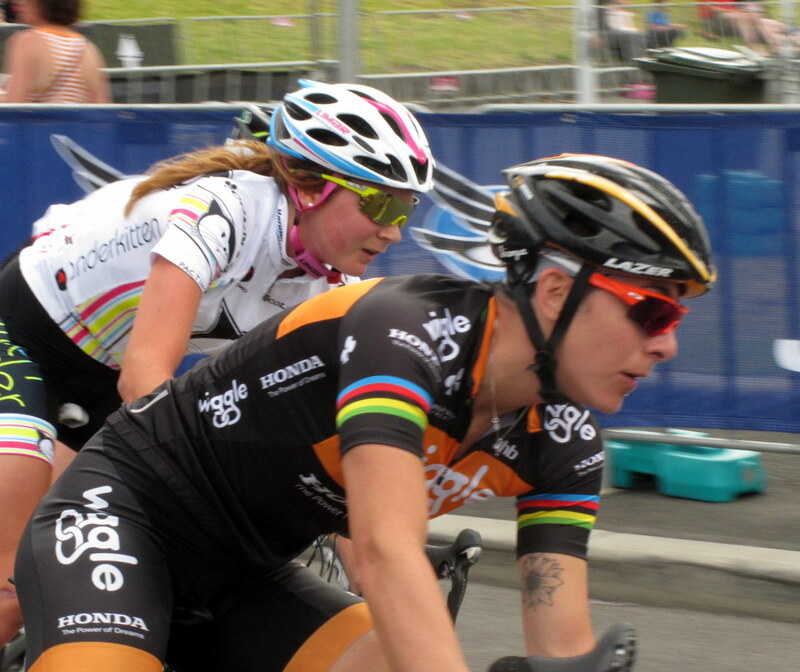 And for Bronzini, her first appearance at the bay crits marked a happy return to Geelong where she sprinted to perfection in 2010 to take her first road world race title ahead of Marianne Vos. She did the same in 2011. The bay crits have seen world class riders before – Robbie McEwen, Mark Renshaw, Kathy Watt, Kate Bates and Gilmore – but never a dual road race world champion like Bronzini with 70 road wins and another rainbow in the points race. So she was the focus of surprisingly little media coverage in the first couple of days, perhaps reflecting awareness and coverage of a minority sport and women’s sport in general, plus the filtering of Euro-centric cycling through an English-speaking media. 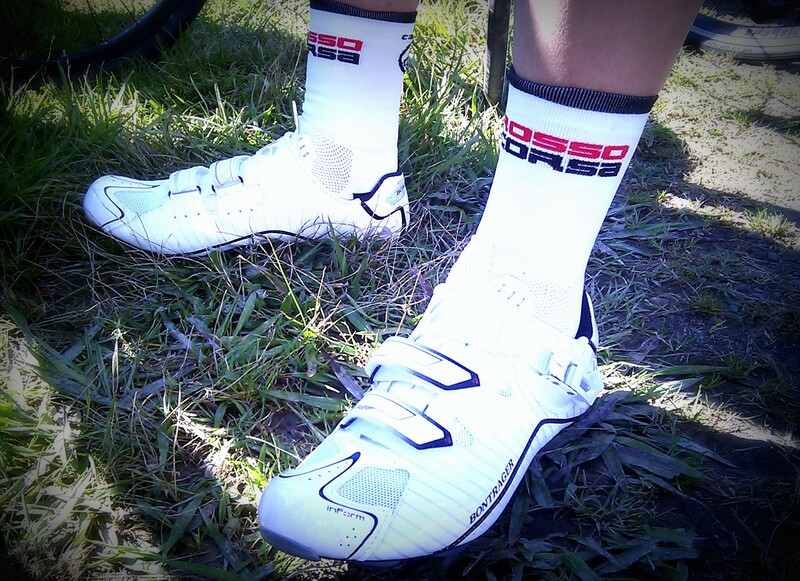 It’s hard to follow such riders if you don’t know they exist. Happily, by the time Bronzini cracked the champagne in Williamstown the crowd seemed to appreciate her quality as a rider. Tracey Gaudry noted this year’s women’s field was the most international, as well as the biggest. “It just shows how strong women’s cycling is, it shows how important Australia is as a destination for women’s cycling and it shows the calibre of racing and competition that we’ve got. “The Mitchelton bay series is the kick-start to the summer season for racing here in Australia and the good thing about it is it provides a stepping stone for up and coming riders and it keeps the experienced elite riders honest. It shows us in the early part of the year who’s actually taking the year seriously and it sets up our riders for competition for when they go overseas. “And Giorgia is just a great example of an elite female athlete – a great personality, a wonderful level of commitment and a team that’s going from strength to strength,” Gaudry said. Gilmore knows such early form in Geelong may cost Bronzini later in the season, but the Italian has been perfecting athletic performance for a long time. 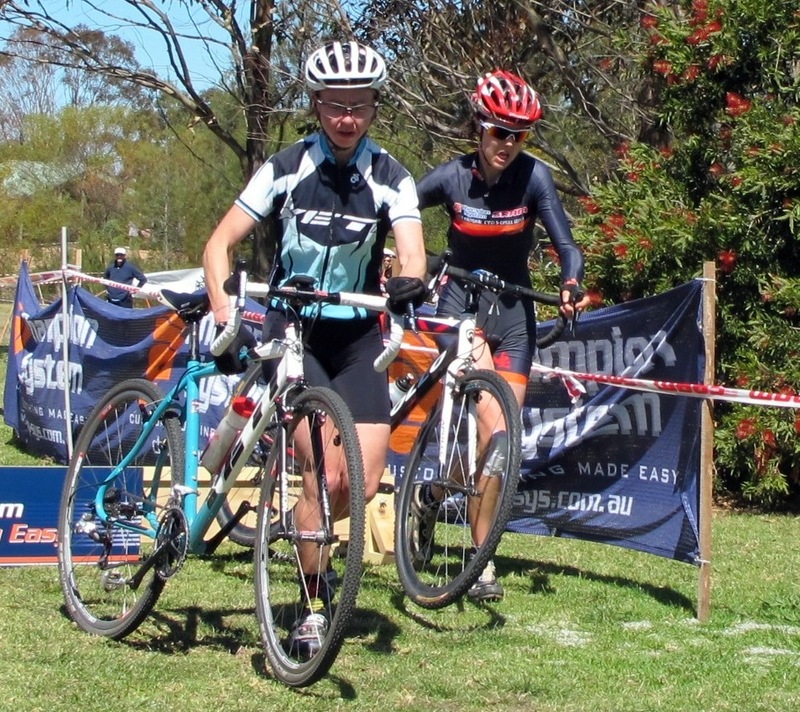 She certainly was, taking junior national titles on road, track and mountain bike. “I won every single discipline in the bike, because (smiles) I like bikes. 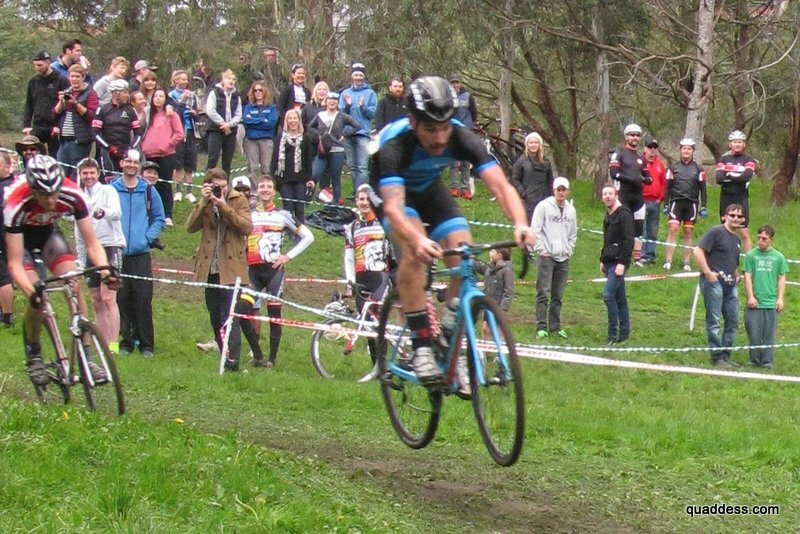 With such broad skills and strength, you’d think cyclocross a possibility. So are we likely to see Bronzini in the mud? 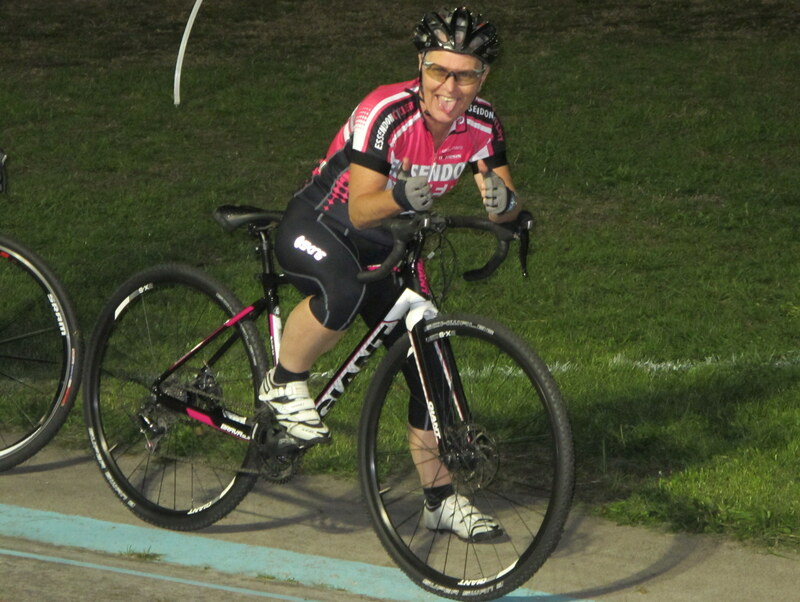 Having juggled road and track she favours neither and values the variety, as well as the chance to tune her speed on the track during the road season. Bronzini’s sprint has helped her own the points race – she topped the UCI world ranking three years running – but she notes changes in the past year. Bronzini is optimistic about women’s pro cycling following the changes at UCI in 2013, noting the women’s peloton working together on important issues, and the increased professionalism of teams. 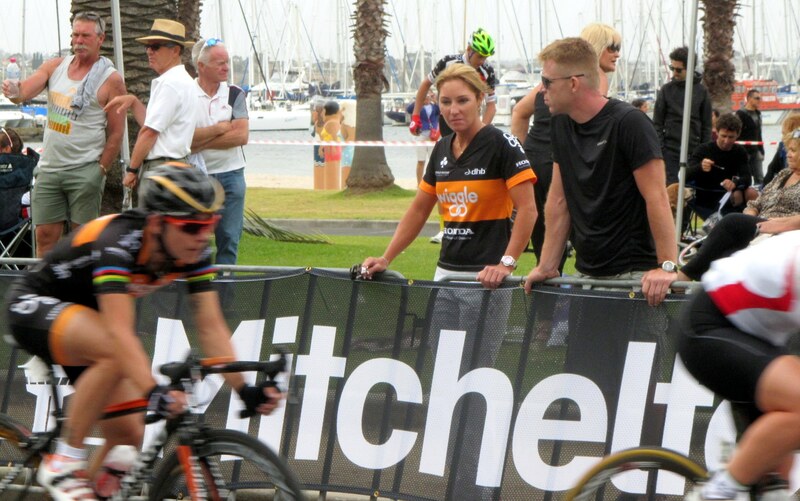 Tomorrow, a chat with Wiggle Honda’s Rochelle Gilmore.